I just realized I never posted this piece before. It was a commissioned poster I painted a couple years ago. © 2019 Juan Carlos Ruiz Burgos. Unauthorized use prohibited. No permission to manipulate/reference/commercial usage (of) this image will be given. My Official Licensed ROBOCOP poster for Grey Matter Art is now online!!! I hope you like it! ROBOCOP TM & © 1987 Orion Pictures Corporation. Unauthorized use prohibited. © 2019 Metro-Goldwyn-Mayer Studios Inc. All Rights Reserved. Hey everyone! Here's the poster I painted for the SXSW COMEDY 2019 (regular & variant). I hope you like it!! Pencil "Link" from "The Legend of Zelda: Twilight Princess"
I always wanted to do something of my favorite couple. - Mistletoe can be deadly if you eat it. - But a kiss can be even deadlier if you mean it. 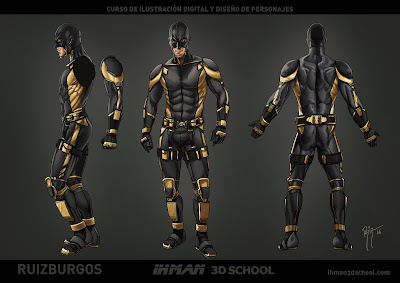 A partir del próximo 15 de marzo voy a impartir un curso online de ILUSTRACIÓN DIGITAL Y DISEÑO DE PERSONAJES a través de IHMAN 3D SCHOOL. El plazo de matrícula ya está abierto. Podéis encontrar todos los detalles y consultar vuestras dudas en esta web. 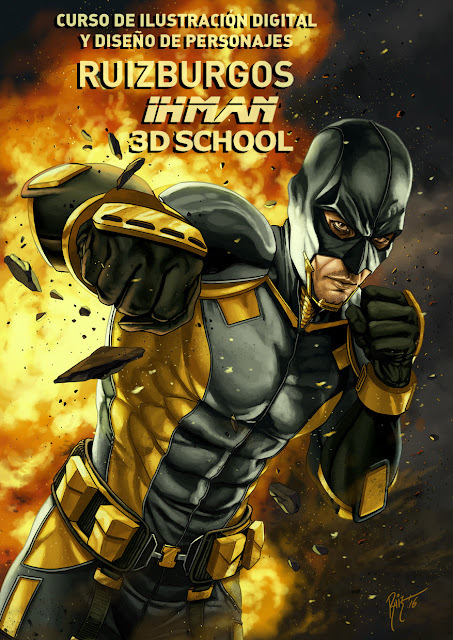 From next 15 March I will be teaching an online course of DIGITAL ILLUSTRATION & CHARACTER DESIGN in IHMAN 3D SCHOOL (Only in spanish, sorry). More details in this website. Espero que os guste, gracias por la visita. I hope you like it. Thanks for the visit.